Miriam has been privileged to perform with CHICO since its inception in 2004. Miriam has also performed with the Ventura College Symphony and San Luis Obispo Chamber Orchestra, as well as in solo and collaborative performances at the Ojai Arts Centre and Ventura Music Festival. 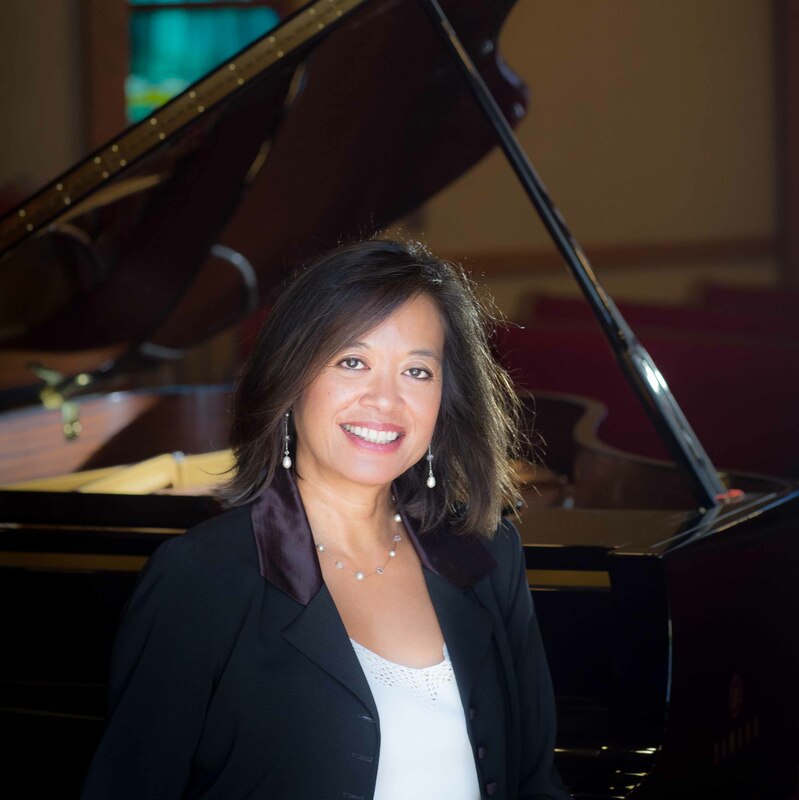 Miriam has also served as music director and pianist for a number of community groups and events, including the Rubicon Theatre Company, the Ventura Unified Festival of Talent, and Temple Beth Torah. Miriam was the honored recipient of the 2014 Ventura Mayor’s Arts Award for Arts Educator. Miriam studied for many years with the late, renowned pianist Sofia Cosma, as well as with Tibor Szasz and Loren Withers at Duke University, and Halimah Brugger. She presently receives valuable coaching from Natasha Kislenko, faculty at University of California Santa Barbara. A lawyer by training, Miriam received her undergraduate and law degrees at Duke University. She presently handles criminal appeals as a court-appointed attorney with the California Appellate Project. Miriam also coaches and coordinates the Ventura High School mock trial and academic decathlon teams. Miriam and her husband Jeff Brackett have three children – Josh, Arielle, and Daniel. The notes I handle no better than many pianists. But the pauses between the notes - ah, that is where the art resides.